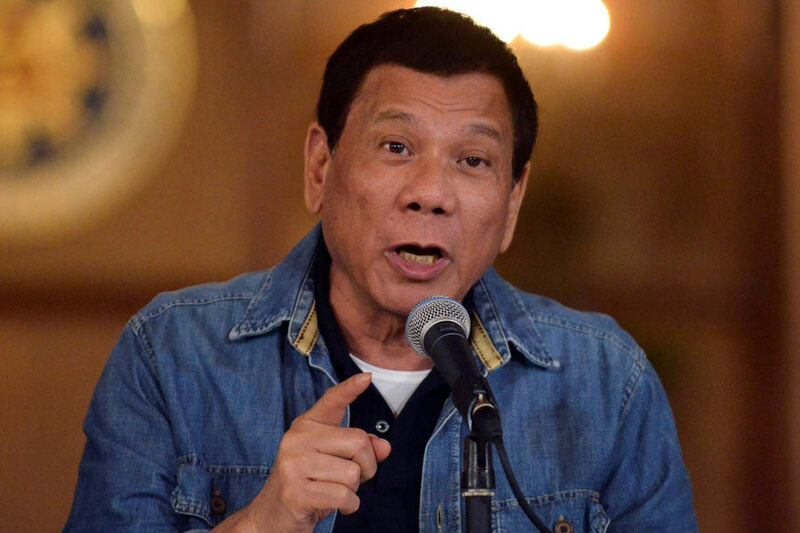 HONG KONG/THE HAGUE - A Filipino lawyer said he had filed a complaint against President Rodrigo Duterte and senior officials at the International Criminal Court (ICC) on Monday, accusing them of crimes against humanity in a nationwide anti-drugs crackdown. Attorney Jude Sabio said in the 77-page complaint that Duterte "repeatedly, unchangingly and continuously" committed crimes against humanity and that under him, killing drug suspects and other criminals has become "best practice". Sabio is the lawyer for Edgar Matobato, a man who has testified in the Philippines Senate that he was part of a hit squad that operated on Duterte's orders. It is the first publicly known communication to the ICC against Duterte and is based on the testimony of Matobato and retired policeman Arturo Lascanas, reports from rights groups and media reports, including a Reuters series on the killings. The complaint alleges that Duterte and at least 11 senior government officials are liable for murder and calls for an investigation, arrest warrants and a trial. Lawmakers found no proof of Matobato's Senate testimony, which the president's aides have dismissed as fabrication. Almost 9,000 people have been killed since Duterte took office last summer. Police claim a third of those killings were in self-defence during legitimate police operations. Rights groups say many of the remaining two-thirds were committed by vigilantes cooperating with the police or by police disguised as vigilantes. Police deny this. Duterte has persistently denied he is involved with any death squad and said that his orders to kill drug suspects come with the caveat that police should operate within the bounds of the law. Ernesto Abella, a spokesman for Duterte, said last week authorities "follow operational protocols" and those who breached procedures were made to answer before the law. He added that news reports about close to 9,000 people being killed in the drug war was "false news". Citing standard procedure, ICC spokesman Fadi el Abdallah declined comment on any possible communication filed. Officials at Duterte's office said they were not immediately able to comment. Since it was set up in July 2002, the ICC has received over 12,000 complaints or communications. Nine of these cases have gone to trial and six verdicts have been delivered. The ICC has no powers of enforcement, and any non-compliance has to be referred to the United Nations or the court's own oversight and legislative body, the Assembly of States Parties. The complaint is only a possible first step in what could be a long process at the ICC. The tribunal first has to decide whether it has jurisdiction, and then decide on whether it should conduct a preliminary examination. It can then ask a judge to open an official investigation, which could lead to a trial. Duterte has said he welcomed the prospect of the ICC putting him on trial. He said last month he would not be intimidated and his campaign against drugs would be unrelenting and "brutal". ICC Prosecutor Fatou Bensouda said last year her office was following developments in the Philippines "with a view to assessing whether a preliminary examination needs to be opened". "I am deeply concerned about these alleged killings and the fact that public statements of high officials of the Republic of the Philippines seem to condone such killings and further seem to encourage state forces and civilians alike to continue targeting these individuals with lethal force," she said.